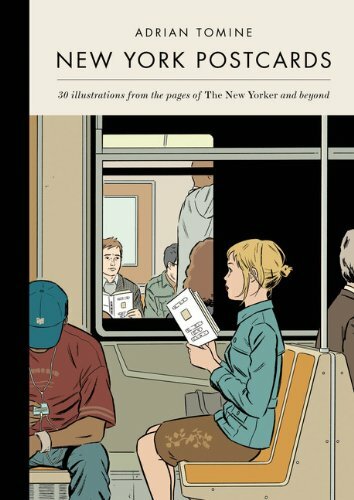 Adrain Tomine's New York Postcards is a collection of his most well known illustrations made into postcards. The set has 30 postcards. Some of the illustrations have appeared in his earlier book New York Drawings. There are also a few new ones. Some are covers from The New Yorker. Pictures below are from Drawn and Quarterly.